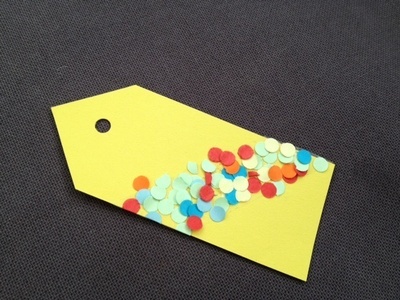 These gift tags make a cute way to add a little something different to a gift tag. A simple craft that even little ones can do and makes use of any scraps of left over coloured paper you have from doing other crafts. 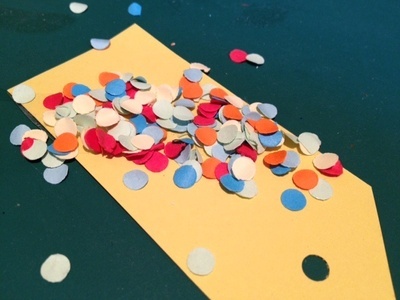 Using a hole punch, punch holes in scraps of coloured paper. You can assemble a few layers of paper to make it quicker to build up the number of little circles you create. 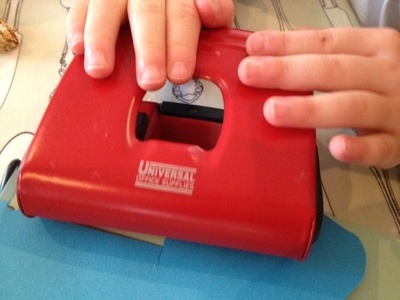 It takes a little bit of effort for young kids to push down the hole punch but my son really enjoyed doing it. Don't forget the actual punch part is sharp so always supervise and make sure fingers are well out of the way. 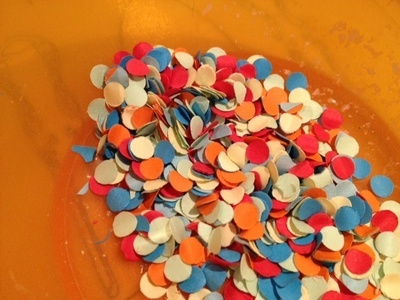 Once you have a good amount of mini circles, empty the hole punch tray into a bowl. 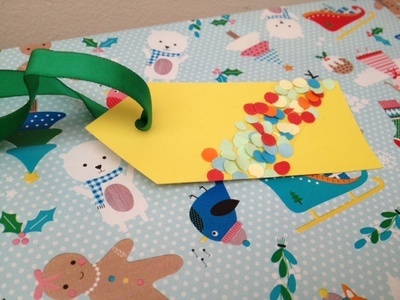 Cut a piece of card into the shape of a gift tag and punch one end. Stick a strip of double sided tape across the gift tag. Sprinkle the mini circles over the tape and gently press down. Thread a piece of ribbon through the gift tag and tie onto your gift.